Q: How fast does hair grow? 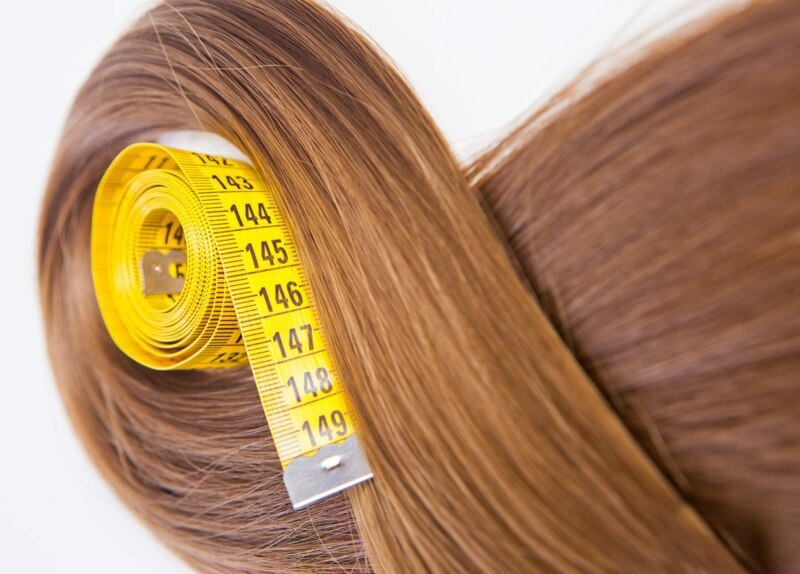 A: The speed of hair growth is roughly 1.25 centimeters or 0.5 inches per month, being about 15 centimeters or 6 inches per year. With age the speed of hairgrowth might slow down to as little as 0.25 cm or 0.1 inch a month. Cell division is responsible for the hair growth cycle. The new cells push the hair forward to make it longer, so the new hair is added at the root. There are about 100.000 hairs on a healthy scalp of hair. Each of these hairs will, in normal healthy conditions, last for one up to six years. People loose about 100 hairs per day, in normal conditions. The fallen hairs are replaced by new hair. Baldness occurs when new hairs are not being produced anymore. During it's life a hair goes through three phases of growth: the anagen, the telogen and the catagen. The anagen is the first phase with new hair growing in the hair bulb. The catagen is the following phase when hair stops growing because the cell division stopped. The telogen is the final phase. New hair starts growing in the papilla and finally the old hair falls out. You might think that fringes (bangs) grow faster than hair on other parts of your head, but that's simply an illusion. Many cut the fringe just above the eyebrows and because of this the slightest hairgrowth will be visible. Wearing a turtleneck will also make your hair look longer and maybe make you think that your hair grows faster. Again an illusion has been created here because of the straight line of the turtleneck. What exactly is hair made of and how does it grow? What is the maximum length to which you can grow your hair? Is hair growth influenced by what you eat?